How Often Should You Steam Clean Your Office Carpets? 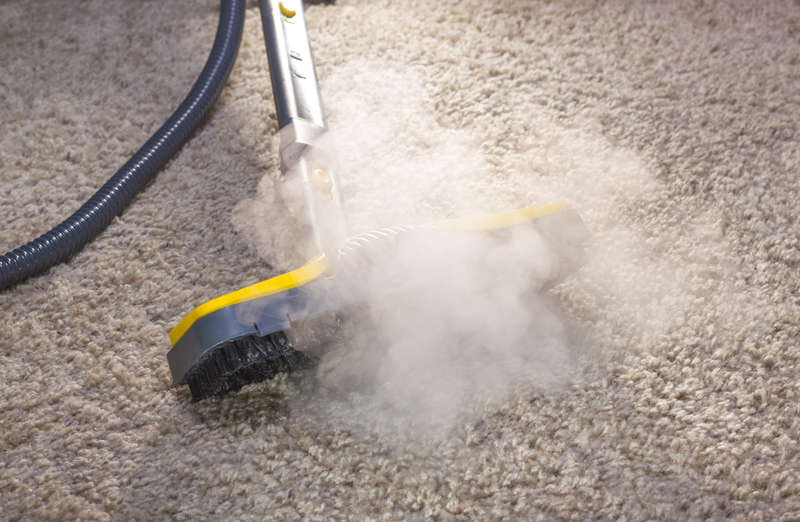 How Often Should You Steam Clean the Carpets in Your Office? Steam cleaning comes with a host of benefits, which range from increased cleanliness to a lack of chemicals that can cause bad reactions in some people. However, it is important to note that steam cleaning comes at a cost, meaning that it is best to time them so as to maximize benefits while minimizing costs at the same time. Steam cleaning serves to eliminate contaminants that can reach past the surface to cause serious damage to the roots of carpet fibers. As a result, it should come as no surprise to learn that the frequency of steaming cleaning can be a factor in carpet warranties. Simply put, if you are interested in maintaining your carpet warranties, you should examine your paperwork to see if you need to steam clean your carpets with a specific frequency. More foot traffic means more contaminants being left on the carpet, which results in a faster rate of deterioration unless it receives a regular steam cleaning. For example, if you have a carpeted entrance to your premises, chances are good that it will need steam cleaning much more frequently than the carpet in a storage room that sees little use. Generally speaking, you should arrange for steam cleaning every 6 to 12 months if the carpet sees frequent use, whereas less-frequented carpet should be fine even if they only receive steam cleaning every 1 to 2 years. Similarly, if your employees have dirtier footwear than normal as a result of the nature of their employment, you are going to want to arrange for steam cleaning much more frequently than you would otherwise. For example, if your employees spend a lot of their time at dusty construction sites before tracking that dirt and dust into your carpeted premises, you may want to spend less time waiting between steam cleaning sessions. Finally, it is important to note that the rest of your cleaning routines should be considered as well when you are trying to figure out how often you should steam clean the carpets in your office. If you have someone vacuuming your carpets on a regular basis, you should probably be fine even if you hold off on steam cleaning them a bit. However, please note that vacuuming is not a perfect substitute for steam cleaning because it is both less efficient and less effective, meaning that you will need steam cleaning to go with your vacuuming.